Saints play a special role in the Catholic faith tradition. These holy men and women have been singled out for veneration because of the way they faced challenges, tribulations, and other sources of adversity during their lifetimes. According to Church doctrine, saints can intercede on behalf of the faithful and help ensure that prayers are granted. 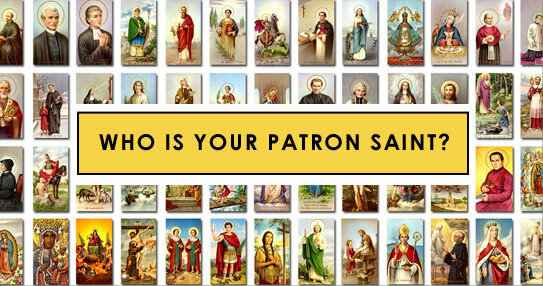 Based on their backgrounds and unique biographies, each saint has been assigned one or more areas over which they are said to wield special influence. These areas of oversight include occupations, situations, causes, geographical areas, and other categories. A saint plaque, medal, or keepsake is a thoughtful way to offer support to a friend or loved one who is facing a unique challenge or difficult situation. In addition to traditional saint medals, we offer a full array of patron saint gifts to serve as a source of inspiration, strength, and prayerful contemplation.